Abike Sonubi is a first-year student at Wesleyan University. This summer, she interned at the TED office. 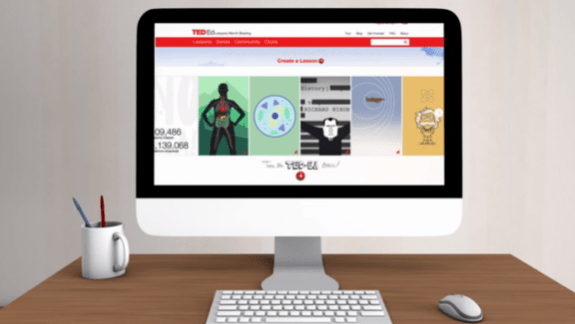 “I wish I’d watched more videos like TED-Ed Lessons while I was in high school,” she says. Below, she explains why. Abike Sonubi writes: The first time I saw a TED-Ed Lesson was soon after high school graduation. I was interning at TED, and my project was to review some of the animated videos before they were translated into different languages. A few of these videos included topics that I’d encountered in my high school AP classes. I regret that I didn’t know about TED-Ed in high school, because it’s a great way to study for tests! Videos like these are particularly useful for students who identify as visual learners — like me. Because they’re animated, it’s easy to remain focused on what they’re teaching. Many of the videos are also useful in daily life. For example, I recently told a friend about the lifelong impact that slouching in the chair can have on us. I was able to obtain that information from one of the animated videos I watched this summer. Thank you so much for your comment, would you please tell me which videos could have helped you in you Ap classes?